A Globe for any colour scheme.. The Vision Series of globes is available in six colours with beautifully screen-printed maps to suit any interior colour scheme. 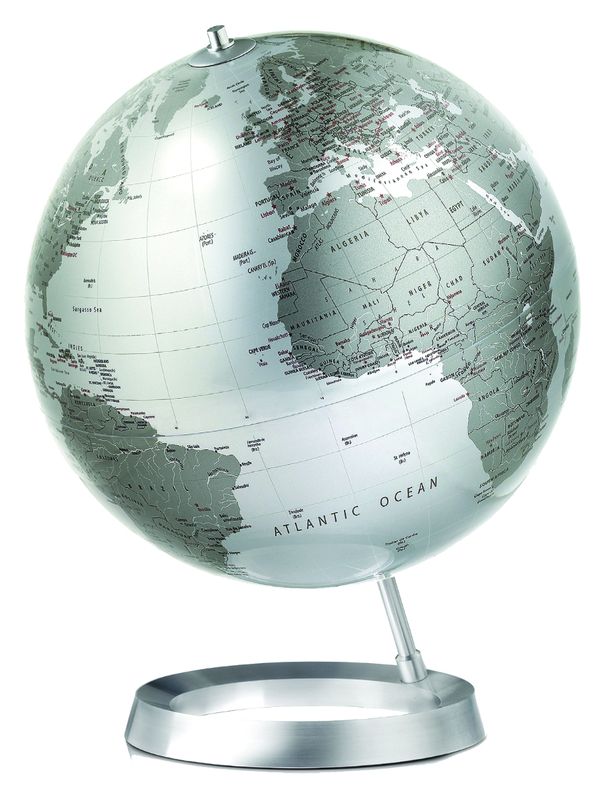 The globes are mounted on a solid brushed aluminium base and the cartography is up-to-date with approximately 500 place names included.